Alpha Kappa Alpha Sorority, Inc., the first Greek-lettered organization established by Black college women, was founded on January 15, 1908 at Howard University in Washington, DC in Miner Hall. The sorority was incorporated on January 29, 1913 to ensure perpetuity. Alpha Kappa Alpha has grown from one undergraduate chapter to an international organization with a membership of more than 140,000 women. Our membership consists of ladies of distinction and exemplary character who excel in scholarship, leadership and service. Our undergraduate and graduate chapters are located throughout the United States, West Africa, the United Kingdom, the Bahamas, the Virgin Islands, Korea, and Germany. Alpha Kappa Alpha Sorority, Inc. is the epitome of class, grace, and finer womanhood. 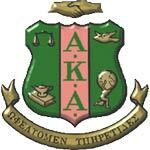 Alpha Kappa Alpha Sorority, Incorporated is a wonderful sisterhood committed to community service. Solving the problems of our community is a very serious matter, and nothing is more rewarding than doing this with the love, cooperation, and support of the many talented members of our sisterhood. The Eta Xi Chapter of Alpha Kappa Alpha Sorority, Incorporated graced the campus of the University of Georgia to answer a desperate cry for a sisterhood of elegance, class, and style. The chapter was chartered at the University on January 13, 1973. Through the years the chapter has upheld the standards, principles, and ideals of the sorority by continuing to stress high scholastic achievement, finer womanhood, and involvement in campus and community life. The ladies of the Eta Xi chapter of Alpha Kappa Alpha Sorority, Incorporated have hosted several innovative and relevant programs for the University of Georgia since the chapter was chartered in 1973. The chapter strives to not only meet AKA’s national goals and targets, but also to implement creative programs from which the Athens Clarke County and the UGA community will enjoy and benefit. Some of the traditional programs Eta Xi hosts annually are the Mr. Esquire Pageant (where all the proceeds are donated to the Sickle Cell Anemia Foundation), AKA Charm School and Easter Egg Extravaganza (both done for Athens Clarke County Youth), the MLK March, Pink Ice Ball, MiAKA Auction, Akalades, and Pink Lemonade Stand. In the past years the chapter has also done major community service projects for the Athens Clarke County; The Hardstepping ladies of Eta Xi made appearances within the community at the annual Black History program at Whitehead Road Elementary as well as stepping alongside the Clarke Central High School Step Team during their Black History Month celebration. The team has also stepped at campus wide events such as Habi-Fest which is in conjunction with Habitat for Humanity and G-Day—the annual scrimmage game for University of Georgia Football. More recently during Skee Week 2008, the ladies of Eta Xi coordinated a match to commemorate the legacy of Dr. Martin Luther King Jr. on his nationally recognized holiday to kick off the week’s activities. The Eta Xi hosted other programs throughout Skee-Week such as “All Dressed Up and Nowhere to Go” which enlightened young women regarding the importance that appearance plays in situations such as obtaining jobs and conducting business in professional settings. The chapter also hosted their annual “MiAKA Auction” which highlighted several exceptional young men on campus who are truly defying the odds during a time when black men make up only a very small percentage of all students in American institutions of higher education. Secondly, proceeds from the auction go towards a scholarship for a black male on campus through the Eta Xi Chapter’s annual “Mr. Esquire pageant”. With the daunting obstacles many black men face regarding their educational development, money raised by the MiAKA Auction will specifically help alleviate the financial obstacles for one exceptional young man. To culminate Skee-Week activities, Eta Xi went to the Northeast Athens food bank to assist in packaging food for needy families within the Athens-Clarke County community. In addition, members also attended Dance Marathon, a 24-hour philanthropy project which raised more than $321,000 benefiting Children’s Miracle Network. Eta Xi also hosted Eta Xi’s 35th Anniversary Party, which was the official return of pink and green to UGA’s campus. These accomplishments only go along with Eta Xi’s great history of being the first and the finest—as such, we continue to exceed expectations.